IELCO Young Reformers Marian Coy Contreras and Liria Suarez Preciado present the booklet Identitad Luterana para jovenes to encourage young people to participate in the church. Photo: IELCO Young Reformers. (LWI) - Youth in Colombia have a tendency to visit different churches until they find one suitable for their spiritual and social needs. Most of those who come to the Evangelical Lutheran Church of Colombia (IELCO) have little or no knowledge about Lutheranism and what it means to be a Christian in this denomination. When preparations to commemorate 500 years of the Reformation in 2017 began IELCO youth leaders Marian Coy Contreras and Liria Suarez Preciado saw an opportunity to draw the curiosity of young people to the Lutheran church. They conceived the idea of a book on Lutheran identity written by youth specifically for young people. The Lutheran World Federation (LWF), which coordinates the Global Young Reformers' Network (GYRN) and the Colombian church leadership pledged their support for the initiative. As Young Reformers, Coy and Suarez have since 2015 participated in regional and international training workshops and meetings promoting GYRN’s objective to get more young people engaged in the Lutheran church and share ideas that enhance youth contribution and leadership through the so-called “Living Reformation” projects. 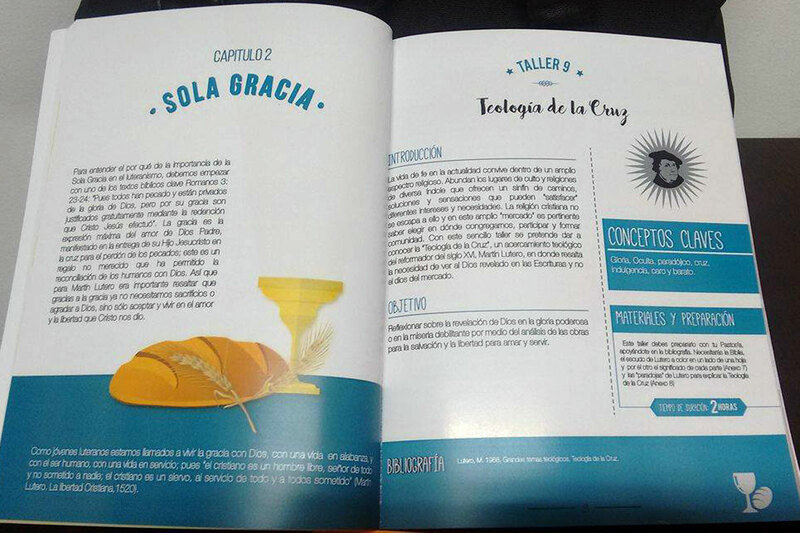 IELCO’s Young Reformers’ booklet, Identidad Luterana para jovenes (Lutheran identity for youth) is based on the LWF Twelfth Assembly sub-theme “Salvation-not for sale.” It was first presented at the May 2017 assembly in Windhoek, Namibia, and has inspired and motivated other youth from around the world. The book includes four main chapters on the basic foundations that Protestant Christians consider as central for salvation, namely by Scripture alone; by faith alone; by grace alone; and through Christ alone. It discusses four sub-themes on doctrine, ecumenism, the environment and politics. In an illustrative format it presents 29 workshops that can be conducted by youth for young people. Volunteer IELCO pastors, deacons and lay leaders specialized in the different topics provided the booklet’s content and design, running into several months of weekly virtual meetings and discussions. We would like our church to keep reforming itself and respond to the current situation in our country. “The youth leaders in our church needed a tool to strengthen the youth work in the local parishes where the youth can learn about Lutheran identity in more practical ways,” Coy says. “We would like our church to keep reforming itself and respond to the current situation in our country,” she adds. Though still in a pilot phase, Identidad Luterana para jovenes is being used by IELCO to train youth leaders in all the parishes. Those trained have an innovative tool for their work with young people. 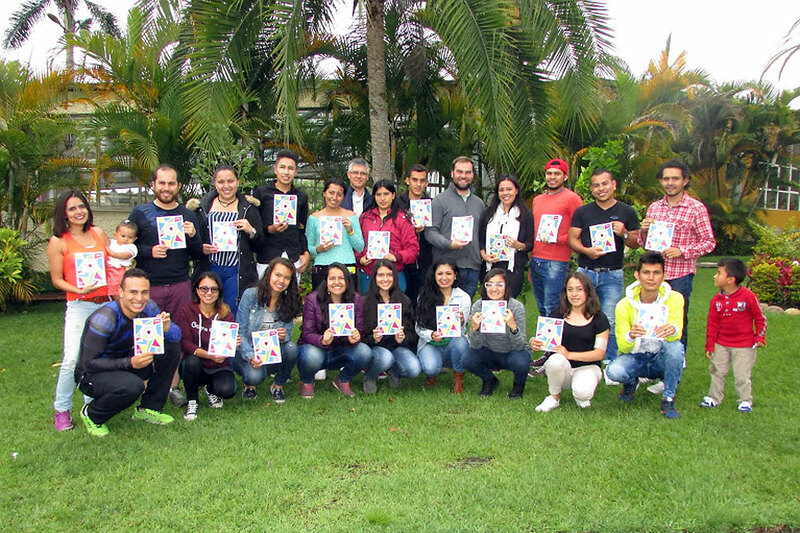 Coy and Suarez describe IELCO’s Living Reformation project as a success because other Lutheran churches in the Latin American and Caribbean region are requesting copies of the booklet to adapt it to youth work in their churches. They say they are convinced the project is an important contribution to strengthening Lutheran identity and youth leadership. A translation into English is also planned. “We hope to continue for the growth of our church,” Suarez adds. Young Reformers Marian Coy Contreras (left) and Liria Suarez Preciado with participants in a youth leaders' training workshop in Colombia. Photo: IELCO Young Reformers.